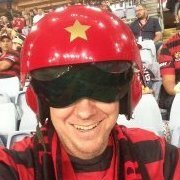 Description: A young box to box midfielder who can cover right fullback, Pepper joins the Wanderers after leaving the Newcastle Jets. I love that he's sponsored by Pepper. We should start looking for higher profile sponsors if that's how it works. I'm thinking we need to sign a deal with Zlatan's Plumbing, Ronaldo's Roofing or Messi's Mortgages. 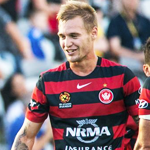 NRMA Insurance Western Sydney Wanderers and midfielder Jacob Pepper have parted ways by mutual consent. Pepper joined the Red & Black in June 2015 and played a total of 14 matches for the Wanderers in the Hyundai A-League and Westfield FFA Cup. Wanderers CEO John Tsatsimas thanked Pepper for his contribution to the club over the past 12 months. â€œJacob was a popular figure around the club and leaves with our best wishes,â€ said Tsatsimas. Who would have thought a year back after the S4 pre season that Pepper's departure would come early and would be such a non event? I recall the red wedding game against Phoenix. He was woeful, and Youlley was much stronger when he came on for Pepper. No loss, I am sorry to say. I have to agree. Whilst he was very good at breaking up opposition play he did little with the ball when in possession. Not something that suits the current curriculum. It's sad the only fond memory I have of him was during the Valentine's Day massacre. And we all know how that turned out. comparisons to Trifiro, for shame! Man of the match against SFC.